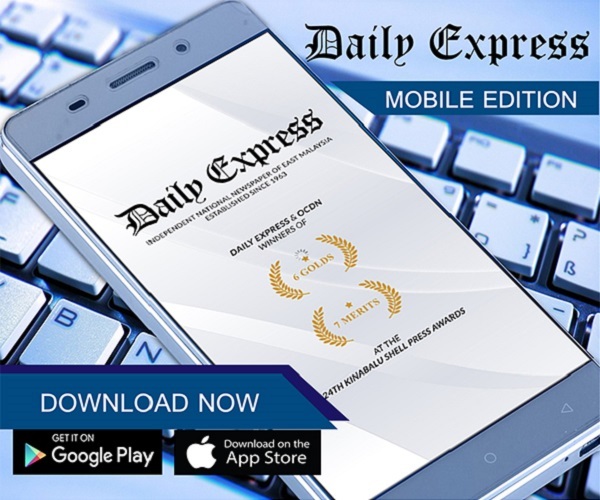 Logging: Firm lodges reports | Daily Express Online, Sabah, Malaysia. Tawau: Two police reports were lodged, Monday, against several senior officers from government agencies and private firms for allegedly falsifying information leading to consent by the State Government to permit logging. 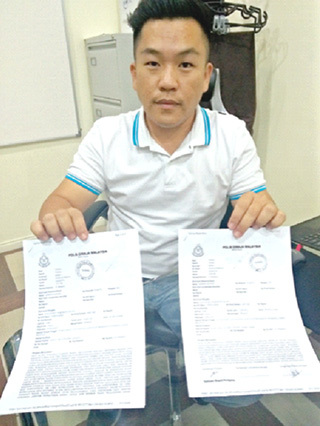 Manager of Asiatic Heli-Logging Sdn Bhd, Koh Chong Yin @ Mohd Salleh lodged both reports at the Tawau Police Department (pic) citing two private firms and related government agencies suspected of conspiring to mislead the State Government. "Our firm is steadfast in our stand to ensure that the law is upheld and those breaching these laws should be dealt with," Koh said, after lodging both reports. He said the first report was lodged against Yayasan Sabah for alleged abuse of power through falsifying information by one of their former senior officers, citing a logging area meant for conventional method when, in fact, the area was a hill or reportedly a steep area which is only permitted for helicopter logging. Koh explained that falsifying information to the Government, therefore, meant the private firm has the capacity to conduct logging using conventional method in an area of 8,000 hectares. "The initial Environmental Impact Assessment (EIA) had stipulated that the logging operation on the steep area could only be done using heli-logging but then later they failed to mention the steep area specification in their report leading to the firm obtaining the right to conduct logging operation using conventional method at the site located within Kuamut Class II Forest Reserve," he said. Koh also said the failure to report the exact nature of the said land was suspicious in nature leading to the report made. 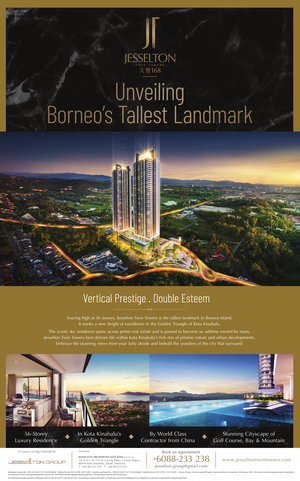 The second report was lodged against another private firm and Yayasan Sabah which granted logging rights through the same ex-manager in the site located within Gunung Rara forest reserve in Kalabakan. Koh said it came about when the firm was supposed to conduct heli-logging but, instead, used conventional method without the State Government's knowledge. The second report also stated a senior officer from a related government agency had approved the construction of roads in the logging site which linked with the Road Buffer within Maliau Basin tourism area even when it was supposed to be a helicopter operation which require no road to be built. "We are also a logging firm but we abide by the rules and regulations rendered by the authority which is aimed at protecting the forest nature of the state. We lodged these reports as an obligated Sabahan," he stressed. Helicopter logging method is an advance method to ensure that any area logged would have minimal damage to the forest as compared to conventional logging method. Major logging scandals were recently reported following the State Government's decision to ban logging exports in Sabah.